The Aliomenti village is in ruins, destroyed by one of their own, its population nearly eliminated in the calamity. 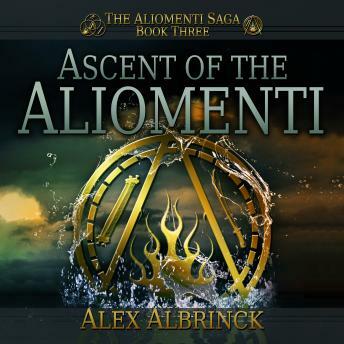 From the ruins, the Aliomenti rise to international prominence, influencing buyers and sellers, warriors and bureaucrats, as they patiently and invisibly expand their empire. Will Stark serves as the driving force behind that expansion. Whether he's creating their innovations or offering subtle hints, few of their revolutionary progressions are made without his influence. But Will is dealing with his own private heartache. Even as he watches his fellow Aliomenti ascend to heights few of them imagined possible, his long journey becomes one he'll make alone. He's haunted by the knowledge that what enables him to make that journey will also prevent him from seeing his most important mission to its completion. Will must persevere, fighting through his own gloom, an organization that threatens to tear itself apart, and a reunion with old friends at an inopportune time. He'll come to realize that his own decisions, his own inability to understand even those he knows not to trust, have enabled a tyrant to seize control of the Aliomenti in the aftermath of a crisis.